Does your dog need to lose a few pounds? We have 5 ways to help! 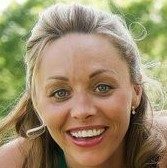 Now that Spring is upon us, everyone is starting to think about warm weather, bathing suits and ways to take off the winter weight. Fido is no different and probably has some weight he needs to take off from lounging around too much during the colder months. Help him achieve his goals by checking out our simple ways to help your dog stay trim and burn off that winter weight. Who doesn’t love to take long strolls and walks? I know Buster does! What a great way to not only bond with our dog but help him out! We all need to get out and walk and this will especially help Fido burn off his winter weight. 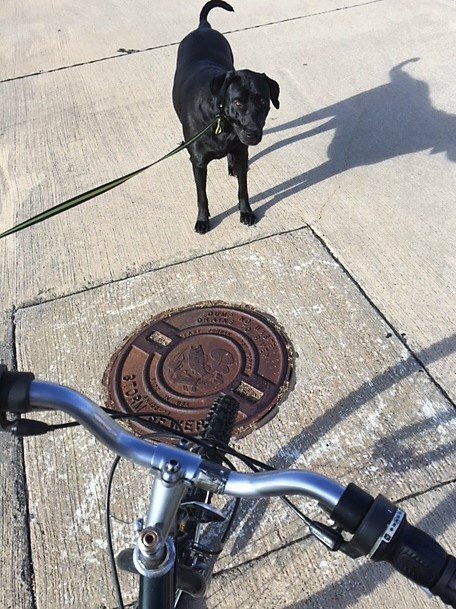 Grab your tennis shoes and his leash and hit the road. 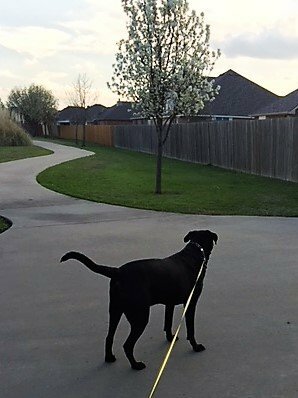 Veterinarians suggest at least 2- 15 minute walks a day but of course, your dogs age and breed will determine an exact walking schedule so make sure you get with your vet. 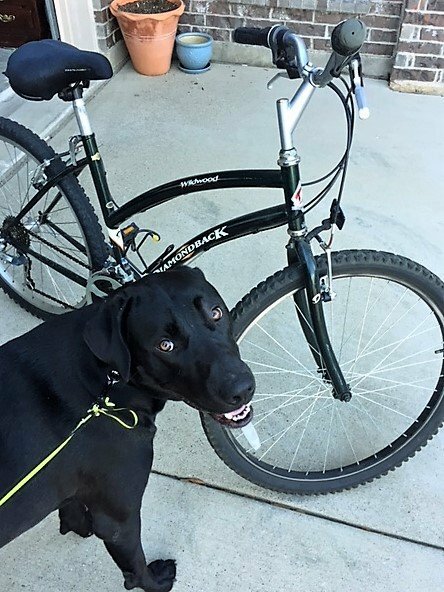 If you and your dog have mastered walking then get to moving and pick up some speed with a bike ride. My Buster, because of his size and age, needs lots of exercise. I have found hopping on my bike is a great way to get him out and basically take him on a jog! Check with your vet first to make sure your dog is up for a jog and always use a harness or retractable leash, you don’t want him to get hurt. Make sure you also bring water for your fur friend as well and don’t over do it. We often don’t think about what we are pumping into our dogs but we should as this can play a big part in weight gain and weight loss in your pet. 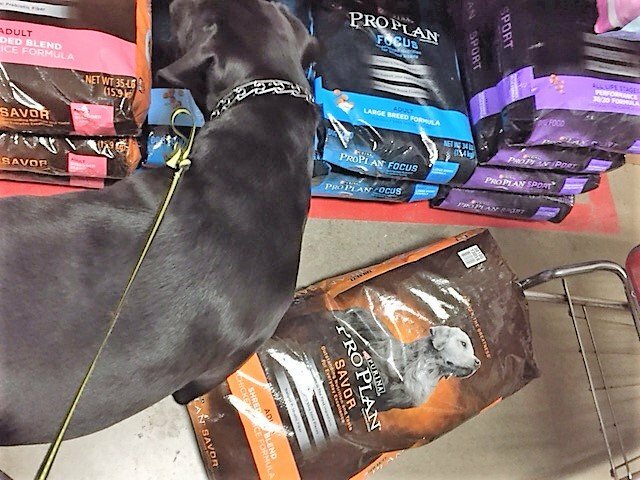 We feed Buster Purina® Pro Plan® Savor® products because Purina believes a dog’s best life is made possible through the power of nutrition. Pro Plan helps dogs be energetic and resilient, while maintaining an ideal body condition, healthy skin and a stunning coat at every stage of life. Yes please! 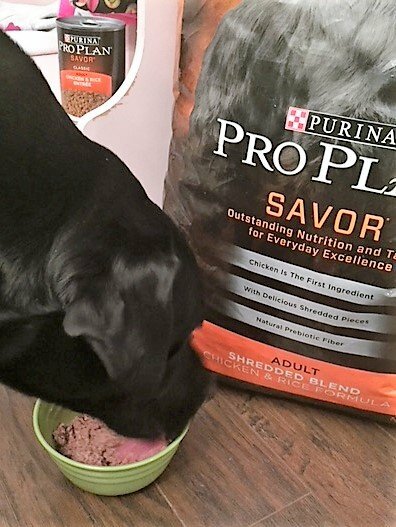 Buster loves the taste and I feel confident feeding him Pro Plan because not only is it real chicken, beef, lamb and salmon but it provides the nutrition Buster needs to be trim and cut down his winter weight. 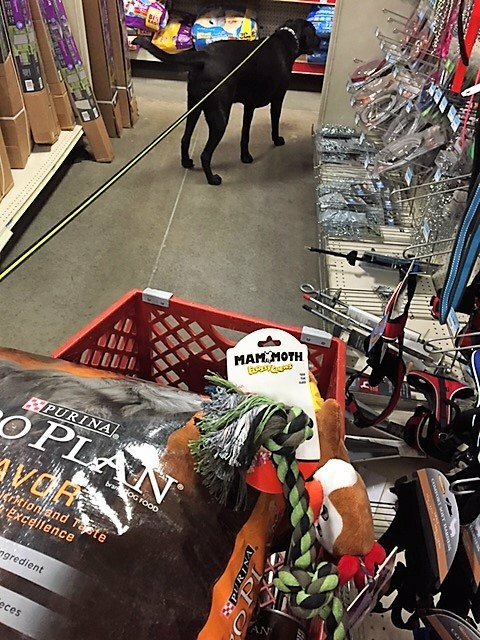 We like to pick up our Purina Pro Plan at the Tractor Supply Co (TSC.) It is your one stop shop for all your rural needs and has the best prices for Purina products! 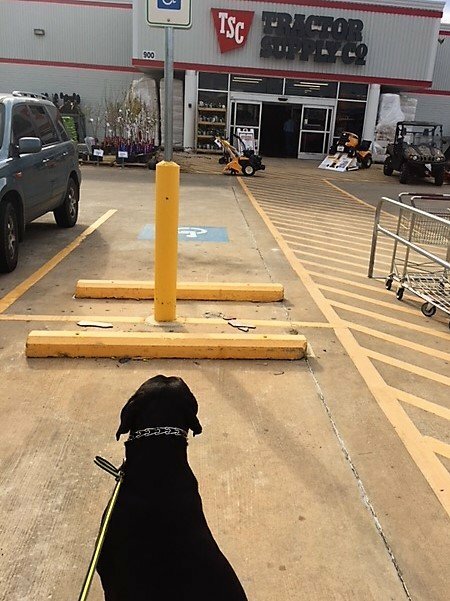 Buster loves to go shop with us and the staff is always so welcoming and loves my dog. This is one of my favorite places and Buster’s too! He loves going and interacting with all kinds of pets and their owners, especially if its a lovely day! 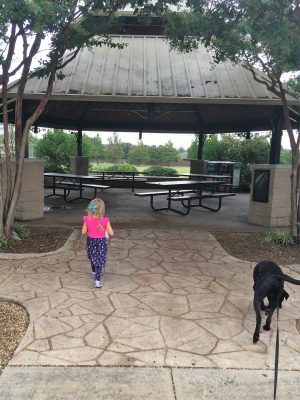 Dogs (and kids) can run, jump and play until their little hearts are content at the dog park. Humans can walk around and talk to other owners or just sit back and relax on one of the benches or picnic tables usually provided. 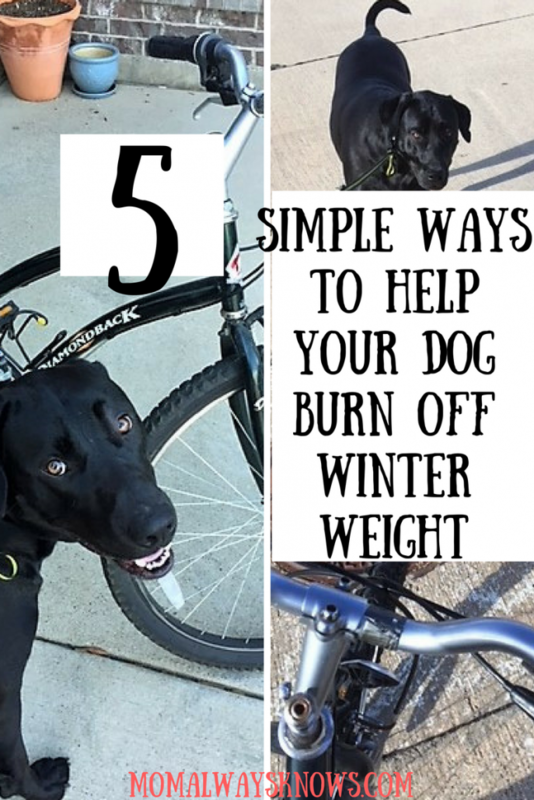 Your dog will burn lots of calories and this will help him burn off any winter weight that he might of put on. Dog Parks are great because they are usually maintained by the city you live in and separate big dogs from small dogs. Just like humans, dogs can benefit greatly from taking a swim, especially if they have some trimming up to do for spring! There are many lakes and creeks around to take your dog to if you are not lucky enough to have your own swimming pool. Swimming is a great exercise for Fido’s whole body from his muscles to his cardiovascular system. It also doesn’t put the pressure on his joints like running or walking might do so this is a particularly good exercise for older dogs. If you dog is not into it, you can always purchase a doggie life jacket at a pet store near you and as always, be safe! 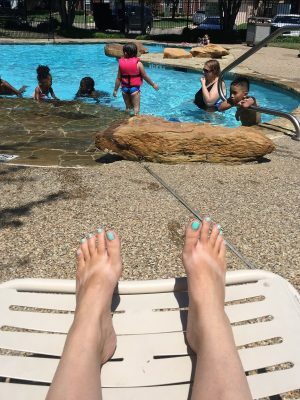 You can bring a tennis ball and other floating objects to add more fun! Better yet, get in and take a swim with him! Just remember to have fun! All dogs are different and there is not a one size fits all way to help your dog burn off that winter weight. You just have to be consistent! Speaking of consistently, March is an awesome time of the year at TSC as they hold a Purina days promotion (5th one coming up) and it is an awesome opportunity to take advantage of savings and do an annual stock up trip! TSC is known for their awesome in-store special pricing on everything pet-related! 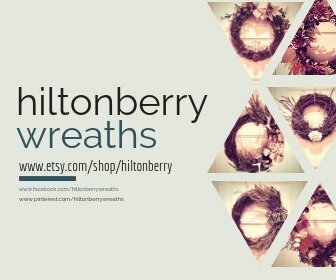 Make sure you check it out and tell them Buster sent you! « How Much Does God Love Us? Swimming is a great exercise, Just like humans, dogs can benefit greatly from taking a swim, Yaa, Dogs love to do. I always do swim with him in my swimming pool, he enjoys it. for his safety, a doggie life jacket is important. Moreover, running with dogs also very good exercise and maintain diet food. These are great tips! These are great tips!!! Thanks!! Our fur baby passed away a couple years ago after suddenly losing her ability to walk among some other health issues. She was the sweetest dog ever and would have been perfect for children. Helpful post for anyone with a pet! Pinned! So sorry about your fur baby! They become like family for sure!